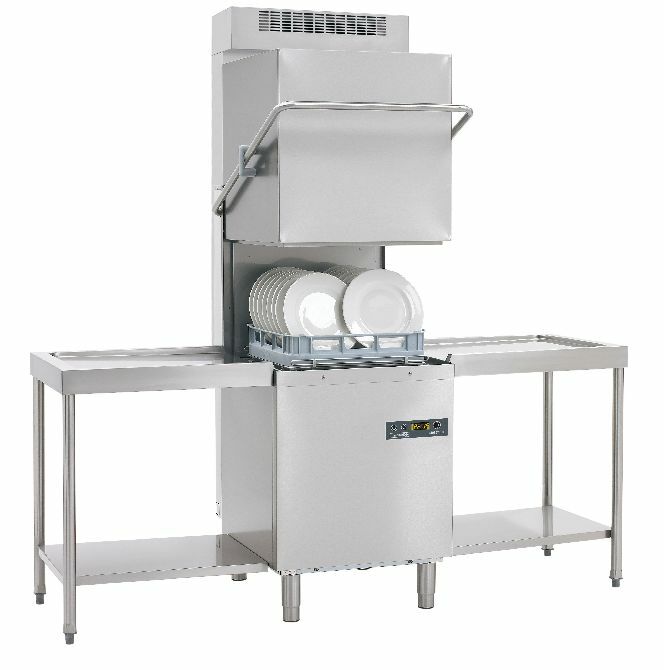 The Maidaid C1035WS pass through dishwasher basket/rack size 500mm x 500mm, with integral softener. Please note tables are not included, tabling is available please contact us for details. Bright LED display with soft touch controls. 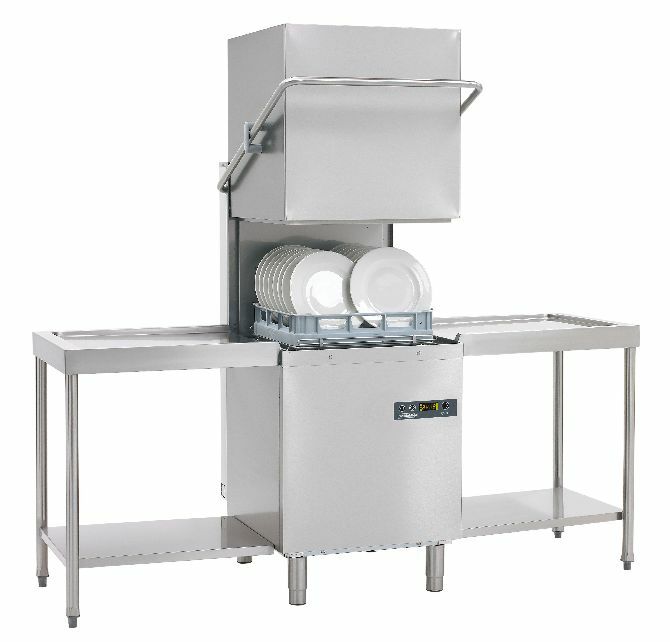 Supplied with one pegged plate, one open rack and cutlery basket. C1035WS Rack size 500 x 500mm. Dimensions W640 x D740 x H1450mm. Height adjustable from 1450 to 1510mm (hood closed). From 1885 to 1940mm (hood open). Three selectable cycles ranging from 70-240 secs. Patented DUAL flow wash pump, reduced power while retaining wash efficiency. Cycle times can be tailored to site requirements. Selectable thermostop ensures optimum rinse temperatures. Automatic self-cleaning cycle at end of service. Twin traffic light display indicate machine status. Can be supplied 3 phase.